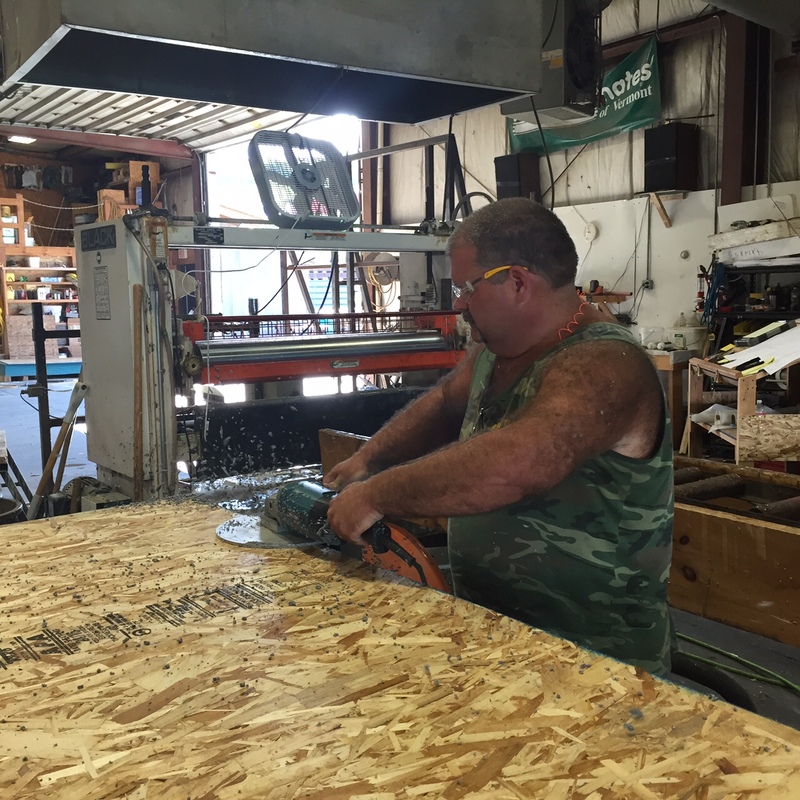 Here are a few pictures from the roof SIP pre-cut going on in our shop right now. All roof panels were cut to length and width. All bevels were cut for the eave detail, ridge, and valleys. These panels will be installed with minimal cutting on site. 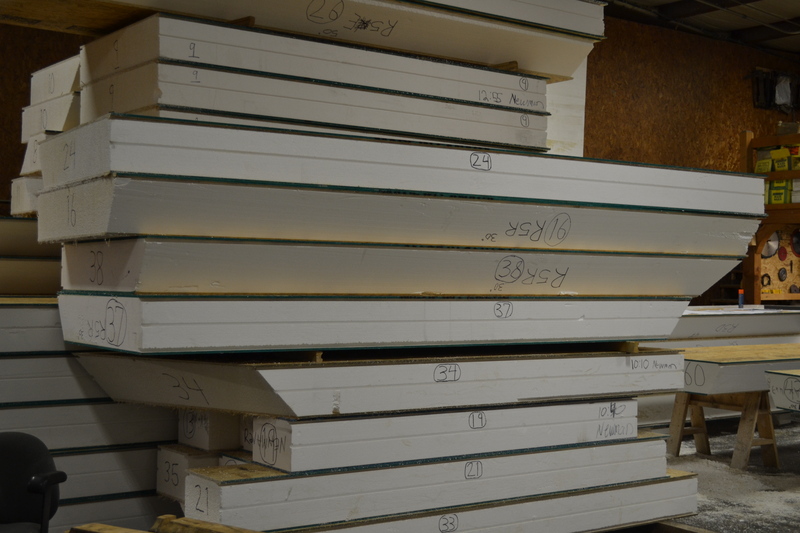 Contact Foam Laminates of Vermont for a free Pre-Cut quote for your SIP project.